Floor Sanding in Kilburn NW6 - The Best Choice! Maintaining any type of wood floor – hardwood, softwood, parquet or floorboard – requires a professional treatment every once in a while. With a proper care, your wooden flooring can last decades. With our floor sanding service for Kilburn NW6, your floors shed their imperfections and live on to serve your many more years. 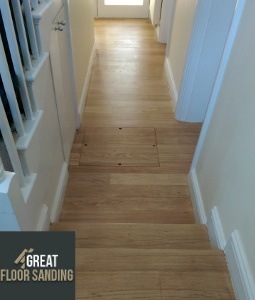 You hire the most experienced floor sanding technicians in Kilburn. All the team members have been BONA certified, which promises precision and unrivaled skill. At the same time, your floors are treated with the latest equipment, which not only speeds out the sanding process but also keeps your property clean of any dust as a result from the sanding. Order a Wood Floor Sanding Service from Us!